The Uniting Church in Australia offers its sincere apologies to all children in the Church’s care who have suffered sexual abuse of any form, whether that abuse happened after Church union in 1977 or before that, in predecessor Churches. Due to the work of Australia’s Royal Commission into Child Sexual Abuse, the responsibility for Australian faith-based organisations to engage their staff and members about child safety has never been clearer. All Uniting Church organisations are expected to implement child safety policies in line with the following National Child Safe Policy Framework. The prayers that follow may be used individually as part of the regular Sunday Prayers of the People or collectively on particular occasions. When collated into one prayer, it is suggested that each petition be followed by: Lord, hear us Lord, hear our prayer. 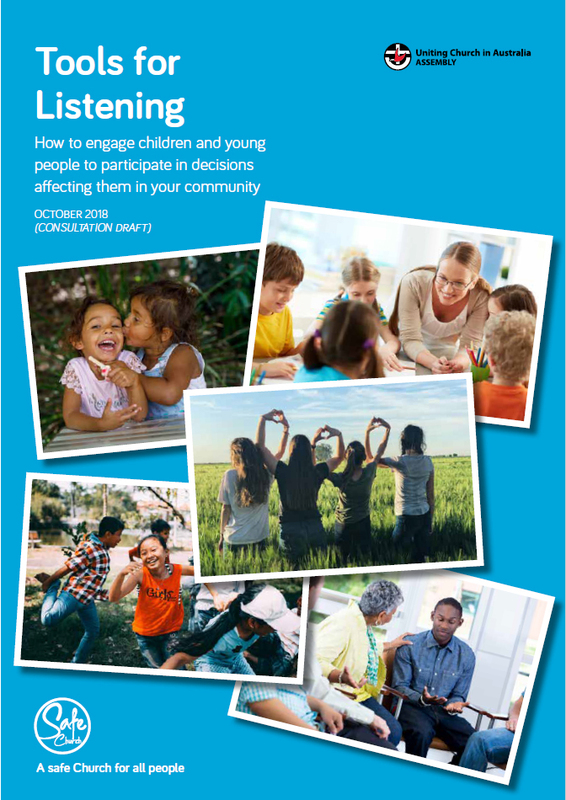 Tools for Listening is a practical guide to engaging children and young people in your community on decisions that affect them. This resource will assist you in the process of consulting, involving and collaborating with children, young people and adults on programs and activities in any Uniting Church entity.